Articles from the August 2, 1930 (Vol. 12, No. 31, Whole No. 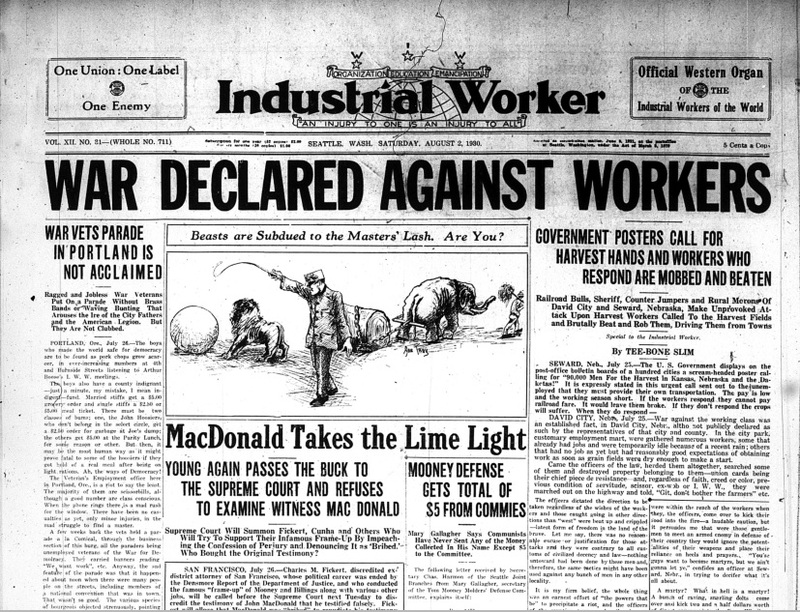 711) issue of the Industrial Worker, the newspaper of the revolutionary union, the Industrial Workers of the World (IWW). -Twelve hours to hunt jobs in Hastings, Neb.